Planning an entertaining and unique vacation might seem like a challenging task! However, it might be easier than it looks. If sailing, waterfront dining, and basking on the beach all seem like activities you enjoy, make your next big trip a getaway to one of New England’s beautiful waterfront towns! 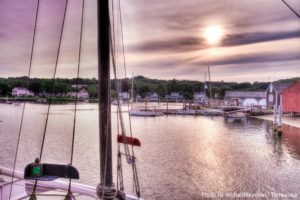 Mystic, Connecticut, is a gorgeous waterfront town, located on the banks of the Mystic River, that offers a myriad of exciting things to do. One of the best ways to see this area at its finest is to embark on one of the sailing trips provided by Argia Cruises. Discover everything there is to know about the excursions provided by this great company, then book your spot today! The spacious Schooner Argia awaits to take you on a journey through the waters surround Mystic, CT! This gorgeous craft can seat up to 49 passengers for an incredible experience like no other. From May 1st to mid-October, you can book one of Argia Cruises trips; they offer both morning and afternoon cruises. If you want a real treat, however, you should try the Argia Sunset Cruise to see this area in all of its glory as it’s bathed with the vibrant colors of the setting sun. You can also arrange a private charter if you want to host an event on this ship, such as a birthday party, corporate event, or wedding. This is a U.S. Coast Guard licensed vessel, so you’ll feel safe and secure as the experienced captains navigate these waters! As you float along these peaceful waters during your Mystic, CT, cruises, keep your eyes peeled for landmarks along the way. You’ll be able to catch glimpses of all types of landmarks and scenic views, like Connecticut lighthouses and beaches. Enjoy the complimentary lemonade and snacks provided on the Argia Cruises as you gaze at these views, or bring along your own food and beverage to enhance your experience (they will have coolers available at your convenience). In addition to cruises, the fascinating town of Mystic, Connecticut, offers a wide variety of other things to do! Treat yourself to a mouthwatering meal after you’ve returned from your cruise; this charming town has a myriad of wonderful places for waterfront dining so you can enjoy some fresh seafood or authentic New England cuisine while admiring the lovely views. The Mystic Seaport is another attraction here that can’t be missed; one of the most famous museums in the country, this institution delves into the intriguing realm of maritime history through exhibits, events, and interactive demonstrations. 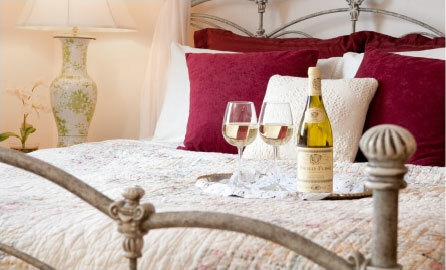 Come Stay with Us at Stonecroft Country Inn! 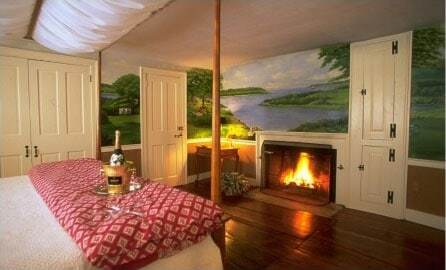 Complete your vacation to New England by staying in finest accommodations possible! Stonecroft Country Inn is a charming bed and breakfast in Mystic, CT, that contains luxurious rooms, all fully equipped with quality amenities. Explore more of the exciting CT tourist attractions nearby or simply relax in our peaceful environment. You’re guaranteed to love what we have to offer here, so check our availability online right now so you can book your trip to see us! To learn about more things to do in Mystic, Connecticut, download our free Vacation Guide today!